Agnes Cecilia is a novel by Maria Gripe, written in 1981. The story has been made into movie. This book is the chinese translation. Paperback. Simplified chinese. 271 pages. 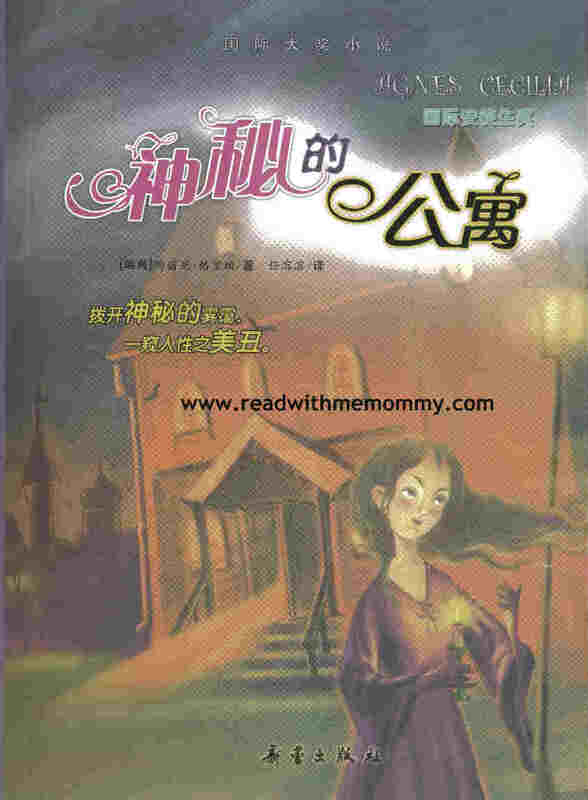 We would recommend this book for children with intermediate grasp of chinese language. This book is about supernatural events and may be suitable for children who has reached an appropriate level of maturity. The story was set in Sweden. Nora's parents were killed in a car accident and she lives with her aunt, uncle and cousin. She constantly had the feelings of abandonment and of being of an outsider. When the family moved into an old home that they are restoring, Nora feels that a spirit from another time is trying to reach her. She received a message and was told to go to an old doll shop in Stockholm where she was given Agnes Cecilia, an oddly lifelike doll. Through unfolding of the mystery of the doll, Nora discovered her own heritage is somewhat linked to the doll. The central theme of this book is to remind parents to take a hard look at how much children need to feel wanted.